Some people prefer the more subtle and less ostentatious security approach of installing an intercom system in their premises. They are more common in workplaces but can also be very effective inside homes and business premises. The unique feature of intercoms is the ability to communicate with a visitor in real time and you don’t have to get up each time the front door bell rings as you can observe the visitor from the security of your own bedroom. At Sydney CCTV Installation we provide customers with customized intercom systems for specific needs. There are neighbourhoods where dwellers are constantly being pestered by visitors coming to their homes. The visitors may be neighbours, wanderers, loiterers and of course burglars and they can cause lots of worry and stress. By having all your doors locked and armed with intercom systems hidden away from view, you can relax and apologize to unwanted visitors without having to get up and open the door to total strangers. The only thing you need to do is to approach a respected and reliable security supply like Sydney CCTV Installation and say goodbye to your issues. The kind of intercom system we can provide for you will offer you comfort and a strong sense of security. This will be the case since you’ll be able to know who is on your premises at all times and of course you will never have to be suspicious as to who is on the other side of the front door. Whether you own a home, a small retail shop or a takeaway bottle vendor, it matters very little. The important thing is we can provide your premises with an ideal intercom system that will keep you constant security and freedom from stress and worry. Over the years we’ve been involved in supplying so many types of intercom configurations we practically know them by heart. An audio intercom has that special merit of giving you the ability to directly communicate with any visitor who wants to enter your home. You are also given the option of either accepting or rejecting the visitor just by the sound of their voice. On the other hand our video device can be integrated into the audio system so that you not only hear the visitor’s voice but you can also positively identify them. 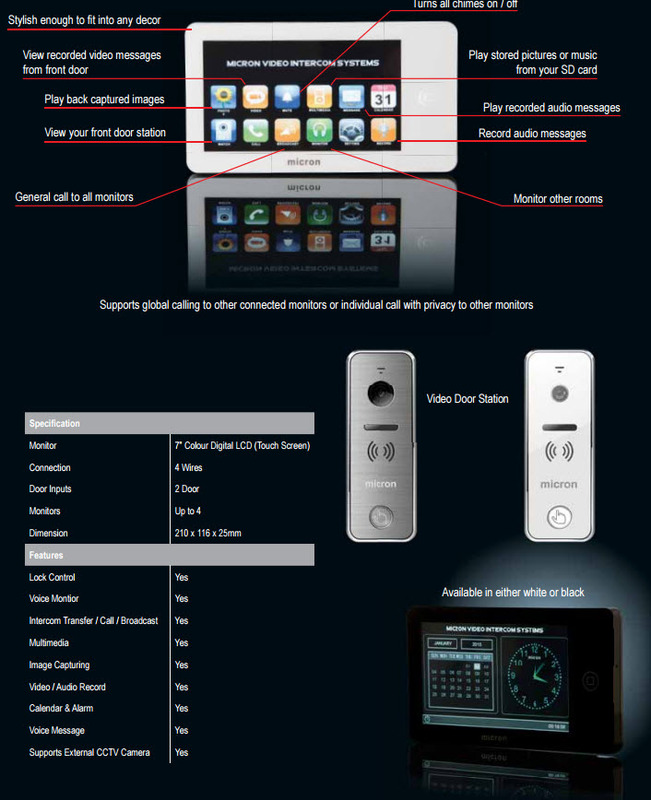 We invite you to browse our website at www.sydneycctvinstallation.com.au and encourage you to make contact with us about your needs for an ideal intercom. We will help you identify, select and install an ideal system for you.